Hello and welcome to my website! 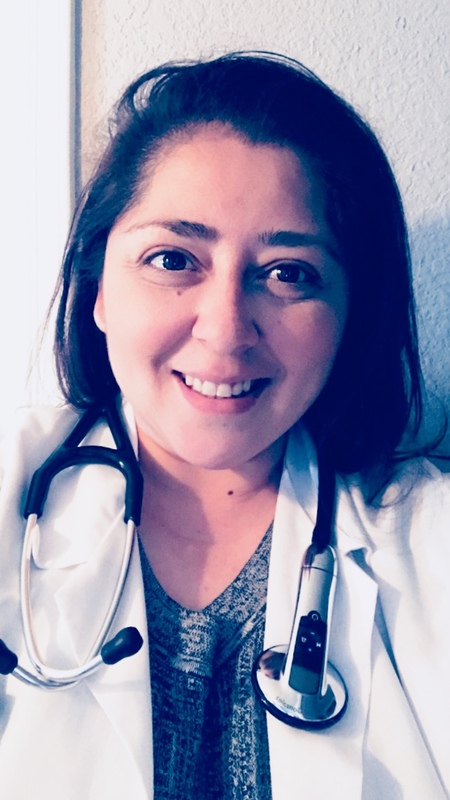 I am Maribel Gonzalez and I have had a rewarding and fulfilling career as a registered nurse (RN) for the last 13 years. As a long time nurse, my goal has been to impact the delivery of care provided to diverse populations and to empower patients to actively participate in their own health. peers, and my students. I often encourage my patients to seek holistic health options and I strive to provide the best care for their particular challenges. For my students, I am their guide, their resource and I push them to realize their potential so they can provide the best care possible. I also participate and engage in my community by attending health related events, by presenting and teaching new methods to my peers, and advocating for health whenever possible. Early in my career, I worked in the Intensive Care Units (ICU), Pediatric Intensive Care Units (PICU), and Post Anesthesia Care Units (PACU) for local community hospitals. During that time I was able to successfully obtain the prestigious CCRN credential from the American Association of Critical-Care Nurses. In the last 4 years I’ve completed two Master’s degrees, a Master’s of Science in Nursing with a focus in Nursing Education and another with a focus in Family Nurse Practitioner. In addition, I am an adjunct faculty for the Texas Tech Health Sciences Center Gayle Greve School of Nursing where I teach all levels of nursing students. Most recently, I secured a full-time position as a family nurse practitioner at Centro San Vicente, where I hope to make lasting contributions to my community in El Paso, TX.